mmakltd.co.uk at Website Informer. MMAK LTD. Visit MMAK LTD. 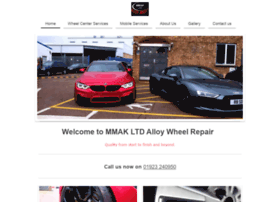 Welcome to MMAK LTD Alloy Wheel Repair! Our services are in-situation; with mobile workshops we aim to work on your terms where it is easiest. Consequently, while Watford-based, we are able to provide our services.